MAC Extreme Dimension Review, with somewhat excessive amounts of pictures to show you what I thought of it. 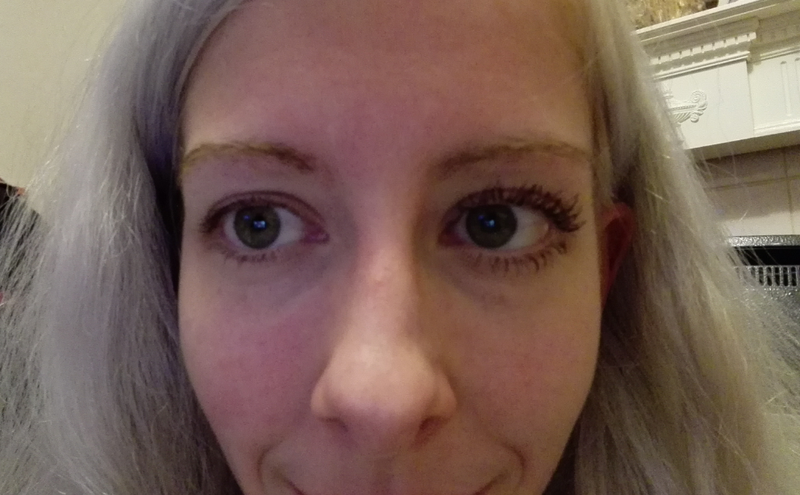 Two days ago I read this mascara reviewed by Maria at mariamakinitup, and I was so taken by the amazing results that I had to buy it myself. Before today, the best mascara I’d ever come across was the L’Oreal Million Lashes Mascara. I didn’t think any mascara existed that could be better than Million Lashes. 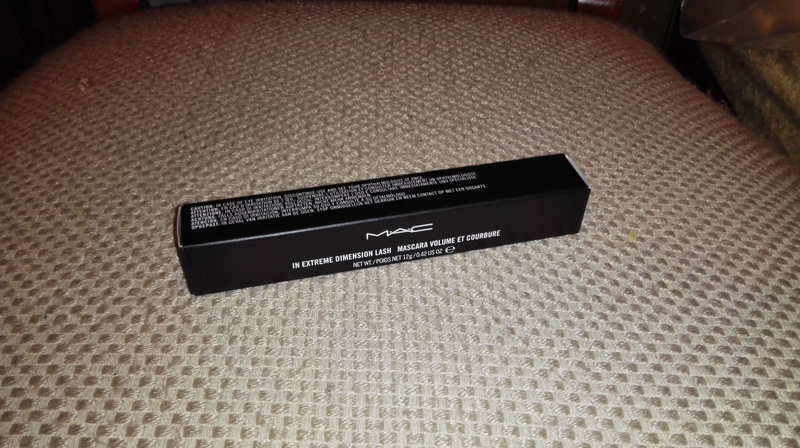 So today I went to get Extreme Dimension from the MAC counter. I tried it out in-store before I bought it. I was very impressed and totally agree that this is worth £19. The awesome thing about this mascara is that it lengthens your lashes using special fibres, but unlike a lot of these that I’ve tried, the fibres that MAC uses don’t fall off through the day, so you don’t end up looking like an out of date Christmas tree after a few hours (unlike another brand I tried, which retails for about the same price). 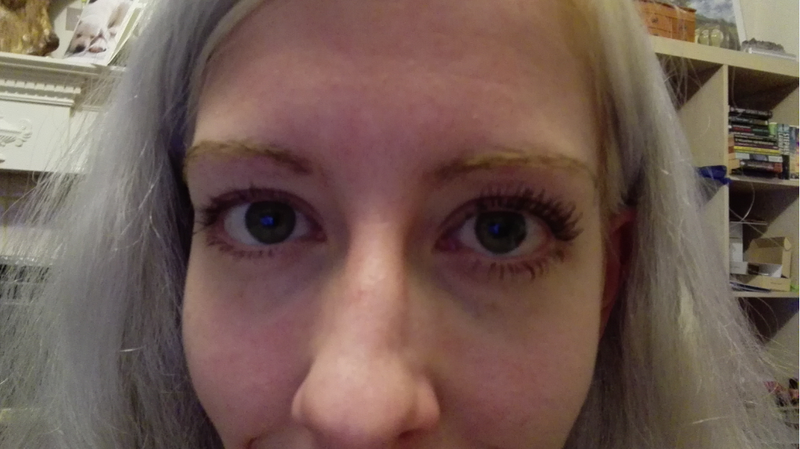 Another thing I loved was that it didn’t add too much volume per application, meaning you can layer this to make your lashes as long as you like without all that clumping and lashes sticking together that I’ve gotten from my previous mascara if I try to do more than 3 layers, so the MAC extreme dimension is really buildable too. The length was astounding, with virtually no clumping either. I didn’t think the third coat added a lot to the second coat. 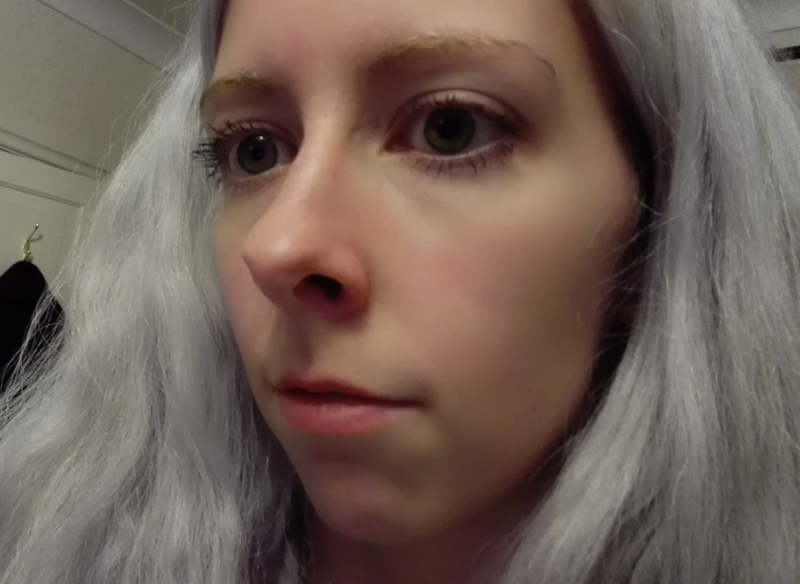 I decided that it was impossible to show you how good it was by just showing you photos of it on my lashes, so I curled my lashes and took some comparison photos as well. As you will see below, there’s not much difference in two or more coats, so two coats is probably all you need to get these results (which will save you mascara, and therefore save you money, because you will run out less soon than if you use loads of coats unnecessarily). 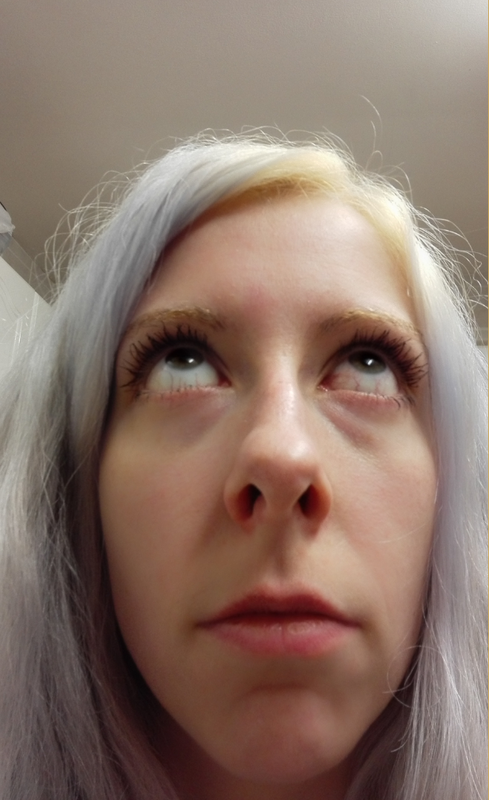 If you want to know what it looks like with curled lashes, here are some photos after I curled my lashes and reapplied it in various different ways so you could see how the comparison photos were taken. 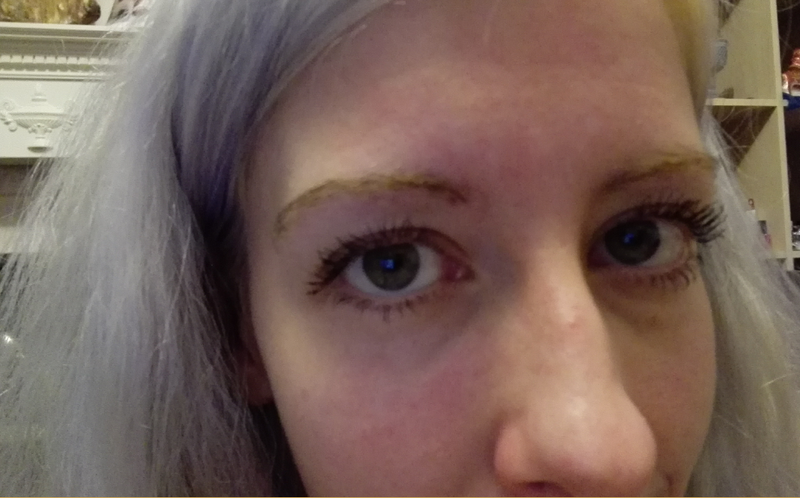 On the left hand side I’ve used my L’Oreal Million Lashes Mascara (which I only recently discovered and am VERY impressed with anyway, which just goes to show how amazing this MAC Extreme Dimension mascara is), on the left hand side I’ve used the MAC Extreme Dimension. 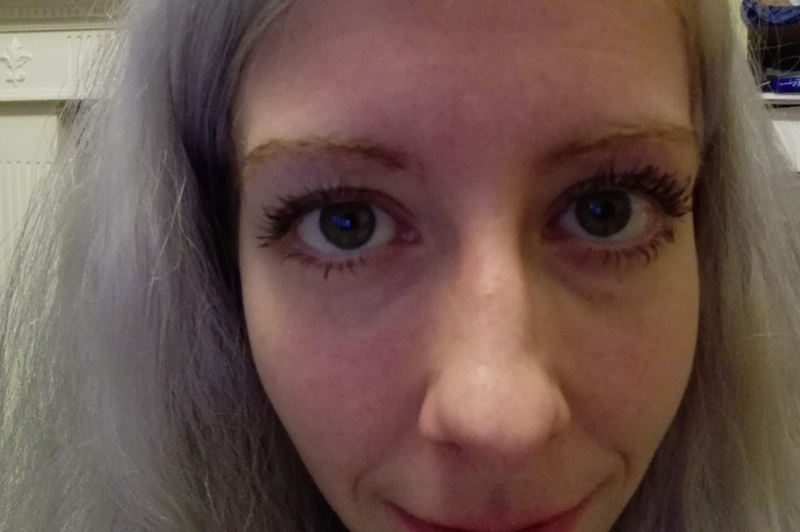 In this first photo, I’ve applied one coat of L’Oreal Million Lashes (so you can see from my next photo that I haven’t faked the results by using less of the comparison mascara, so it’s all a fair test), and on the right there’s two coats of MAC Extreme Dimension. This is MAC Extreme Dimension on the right and L’Oreal Million Lashes on the left, only one coat of Million Lashes. This is with two coats of each. As you can see the MAC Extreme Dimension is still winning. 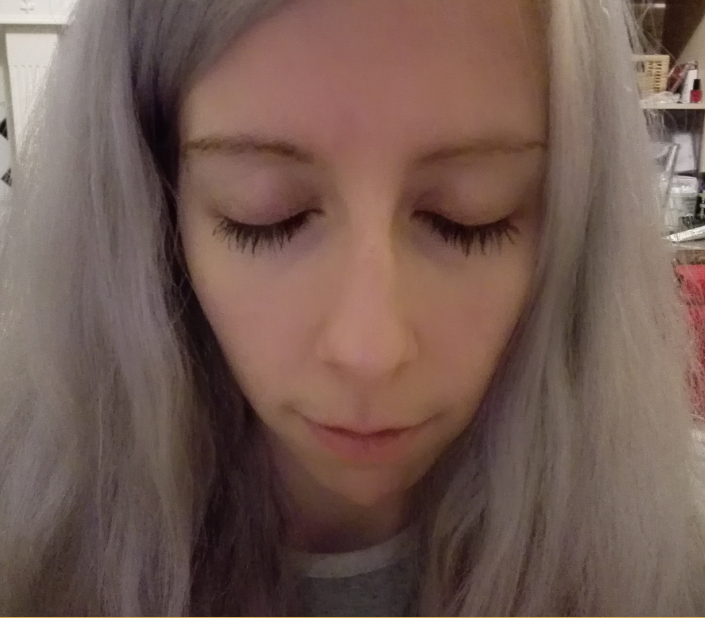 This is another photo of L’Oreal Million Lashes (left) vs MAC Extreme Dimension (right). The MAC Extreme Dimension gives much more length and is the first mascara I’ve ever used that genuinely gives a “false lash effect” that so many other mascaras claim to do. In the words of the Scottish weather forecasting service, it’s phenomenal! For everyday use, I will continue to use Million Lashes, but for evenings, events and date nights with my husband, I will be using the MAC Extreme Dimension; isn’t there just something special about being able to look even more amazing after a day at work? If I didn’t work as a teacher, I would wear MAC Extreme Dimension every day, as it is just the most amazing thing I’ve used on my lashes, like, ever, but sadly, I have to set a good example and I think this look is a bit over the top for school – and that’s a good thing, I’ve never found a mascara that delivers so well before, or one that shows up so good in photos!! As far as value for money goes, I’ve spent £10 and £12 on mascaras recently that I’ve left unused after the first use. I used a No7 mascara for my wedding because I was worried about spending too much money on a mascara that wouldn’t give me good results. I wish this mascara had been out this time last year then I would have been able to wear it on my wedding day, because this mascara is truly special. I will definitely be getting it on my eyes for my First Anniversary party in a few months time. I predict this would also make a fabulous mother’s day or birthday present for any woman because the appeal of the false lash effect that this product gives is universal. I just can’t get over how good this product is, and am so glad I saw Maria’s review otherwise I never would have heard about it because everyone is so dismissive of MAC mascaras but they’ve really hit the target with this one! 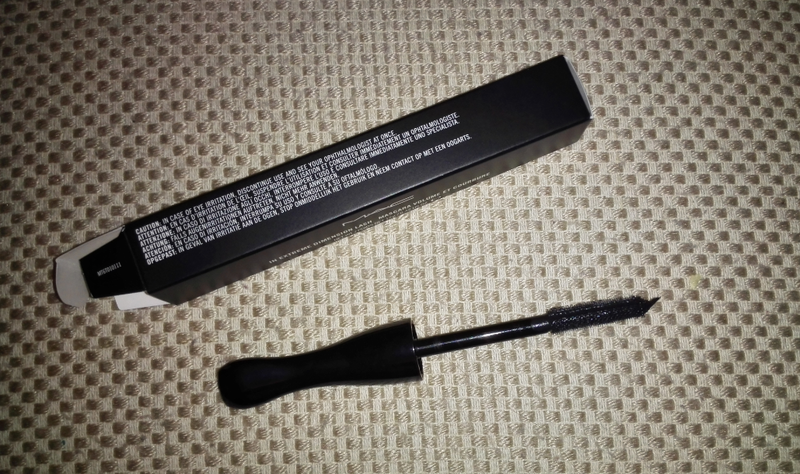 The only downside to this mascara is that it only comes in black, but if you’re like me, you probably love the blackest black mascaras anyway. There was a trend last summer for coloured mascaras again and I’m so glad it’s over now because honestly they never show up how they ought to and the colours they come in just don’t seem to suit anyone, so I’m fully supportive of a mascara that only comes in black, although I know some people prefer brown or navy, I think they would dull the effect of this one. 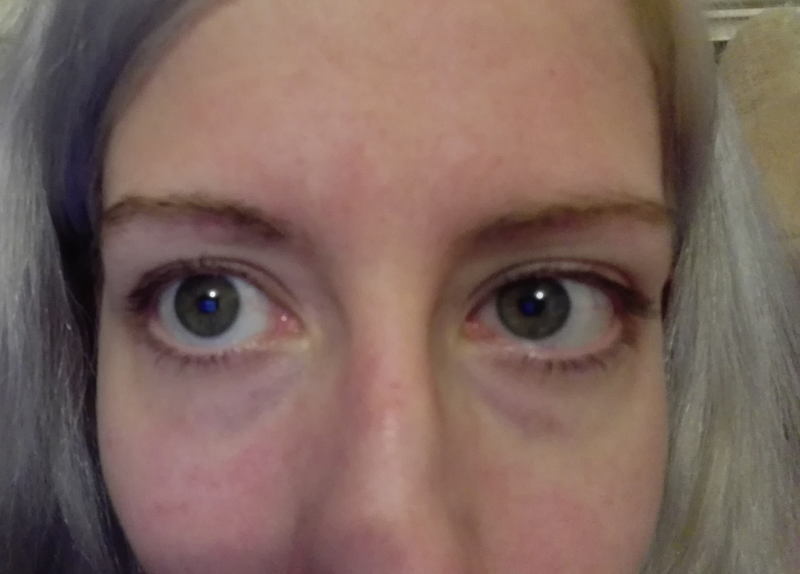 Extreme Dimension (right) no mascara (left). What do you think, will you be trying MAC Extreme Dimension? Which mascaras are you loving at the moment? Let me know in the comments!